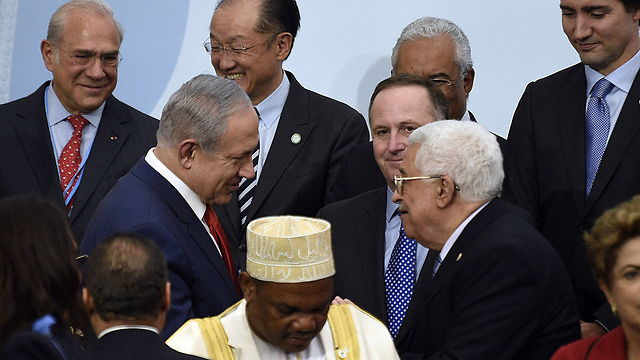 Prime Minister Benjamin Netanyahu, who is attending the 2015 United Nations Climate Change Conference in Paris, met Palestinian President Mahmoud Abbas on Monday, and the two leaders shook hands for the first time in five years. It was also the first time the two have met in person since September 2010. I'm not a big fan of Rabbi Jonathan Sacks's writing, former Chief Rabbi of the United Kingdom. Not because I don't like him, God forbid, but because he is normally a bit highbrow for my taste in books. There are things about his style that I do like, but overall I normally have a difficult time reading his works. Lessons in Leadership by Rabbi Jonathan Sacks is a bit different, and I am enjoying it. Lessons in Leadership explores the weekly reading, the parshat hashavua, of the Torah in a short essay discussing a lesson in leadership gleaned for the weekly portion. So far, in the few weeks of portions that I have read, the discussion is not overly philosophical, as much of his works are, but are focused on a single point - learning a leadership lesson from a central figure in the portion of the week. For example, in the past weeks, Rabbi Sacks essays have discussed such leadership skills as knowing yourself rather than trying to be generic and popular, recovering from a difficult time and experience and setback, conformity or to not conform, and more. The table of contents has promising essays and topics coming up, and I look forward to reading those as well. And besides for just his lesson in leadership, the book can be read as an interesting dvar torah on the weekly portion. I like Lessons in Leadership so much, and think the idea is so important, that I have begun reading the essay on the weekly portion at my Shabbos table, as I think my kids, and myself, could benefit from the weekly lesson in leadership and discussion about it. The law already allows new fathers to take time off from work after a birth, called paternity leave. (Mark Zuckerberg recently announced he will be taking two months paternity leave.) The State wants to encourage fathers to take this time off, or some of it, as a way of being involved in the early stages of their child's development. MK Rachel Azaria (Kulanu Kahlon) has now proposed a law that would advance us further step towards that goal. Azaria's proposed law is during the first four months after returning from paternity/maternity leave after a new birth, a new father could take an hour off his workday, and finish his workday a bit earlier. Azaria's proposal is in order to allow the father and mother to have a better "division of labor" with the kids and help out in picking up the kids from school. While this hour off the workday is already in effect for new mothers, and it is called a "nursing hour" to provide a new mother the ability to nurse her baby during the day, this law would also change the name of it to "parenting hour", and apply to fathers as well. Ss far as I know, regarding maternity leave and paternity leave it is only either/or. Either the mother takes maternity leave or the father takes paternity leave, and they can divide it up. But they cannot both take the full leave together. Interestingly, this parenting hour would seemingly apply to both mothers and fathers and both could equally take advantage of it at the same time. The law would also change the name of maternity leave to "tkufat leida vhorut" - birth and parenting period. the only thing not clear that I see in this idea is what is considered an hour off, an hour early, for fathers. I remember seeing a study a while back about Israel's workforce being one of the highest in the world in the sense of employees working beyond their set hours. Meaning, employees who must work, say, an 8.5 hour workday, on average are working 9 or 10 hour workdays.So, will this law encourage such an employee to work 7.5 hours or to work 8 or 9 hours for the four month period? A parody music video in response to Netiv Aryeh and Torat Shraga (links below). spoiler alert - I was kind of hoping the other guy would advance..
1. MK Motti Yogev (Habayit Hayehudi) has proposed a law that would prohibit all houses of worship from using sound systems. Yogev reasons his proposal by saying that the loud noise disturbs the quality of life of many residents who live in the areas near these houses of worship. According to Yogev, the freedom of religion and freedom of worship does not need to come at the expense of other people's quality of life. Obviously not too many shuls use such sound systems that broadcast out to the public. Also obviously, many (all?) mosques do, and this law would largely affect them, if it passes..
2. you might be saved from the Muezzin by Motti Yogev, MK Miki Zohar (Likud) is going to have you suffer more on Lag BaOmer and Chag HaMimouna. Zohar has proposed a law that would add Lag BaOmer and Mimouna to the list of holidays in which it has an automatic exemption from the noise laws. Meaning, Lag BaOmer night and Mimouna night celebrations won't have to end at 11pm (in residential areas), but can go until the wee hours of the morning. Zohar explains these are days that have become celebrated by everybody like the regular holidays and there is no reason they should be limited by the law. Especially because they both fall out during Daylight Savings Time in the summer and therefore both start and end late. 3. Have you ever received a postal note informing you of registered mail waiting for you at the post office - then, after waiting 30, 40 or 50 minutes in line at the post office you find out it is a calendar from an organization looking to hit you up for a donation? There is no way you would have waited in line for so long to go get something like that, but the postal note does not tell you who sent the registered mail, and you thought it was your new passports or that check you've been waiting for! 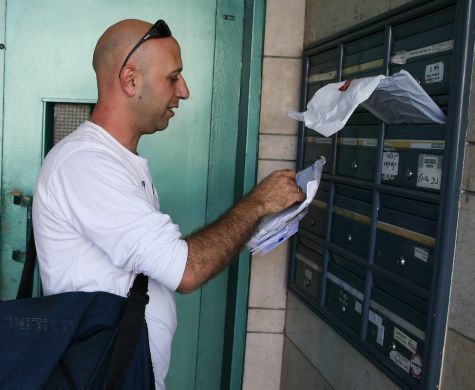 MK Nachman Shai (Hamachane Hatzioni) has proposed a law that would require senders of registered mail to write their name, address and any applicable legal issue for the item on the mail slip. The first law proposal above seems dangerous to me. Maybe limit the speakers by decibels and volume, but canceling it altogether seems like an impediment in a freedom of religion that has been allowed until now. Once you start making laws against other people's religious practices, you don't know where it is going to end. The second law seems unnecessary to me. Do we really want the noise and smoke and kids out so much later than Lag BaOmer night already is? I definitely don't. The third law looks good to me. It might make it more difficult for legal issues, such as bank notices or legal notices that will now go ignored and won't be picked up because the recipient knows in advance that it is something he does not want, but overall it seems good to me. If somebody wants to serve a notice, they can work and find other ways to do it. Aryeh Deri is upset that there are no sefardim represented in the images on the new sets of bills (currency) that are soon to be put into distribution. Boker tov, Aryeh Deri. The plan was in place for two years already, and they have probably been working hard to design the new bills and maybe they've already started printing them, but with less than one month to go until publication, Deri now expresses his complaints and wants the government to make changes. I would also assume Deri is upset that there are no women on the new bills. They too consist of 50% of the population of Israel, just as he complains about the lack of Sefardim. And once we are giving out honors on bills by ethnicity, we should have bills bearing images of great Ethiopian Jews, Yemenite Jews, etc.. and if we want to break it down even more, we should have bills with Russian jews, Polish Jews, Tunisian jews, Iraqi Jews, American Jews, German Jews, Iranian Jews, etc..
We are going to need tens of new bills to keep everyone happy! I agree, Sefardi Jews should be represented, as should others. The last minute before publication is not the time to deal with it. This is great. It reminds me of when the US had a siege on the home of Manuel Noriega and played loud rock music to chase him out of his house in Operation Nifty Package. These guys are going to beat ISIS by rickrolling them. Well, it worked to get Noriega out, maybe this will drive the ISIS guys crazy as well..
Israel Hayom journalist Lital Shemesh felt she needed to do something to raise awareness of the 22 Israelis murdered so far in shootings, stabbings and car-ramming attacks. Adam Sandler recently updated his Chanukah song and created his fourth edition of the song!! The Palestinian dates are not even kosher! and look at this... the Palestinian issue is one thing, but it turns out the dates are not even kosher! The latest Rabbanut kashrut newsletter has an item about these Palestinian Majhoul dates bearing a forged kashrut symbol. While I am not sure why dates would need a hechsher to be considered kosher, one could at least say they are not under the supervision of Rav Efrati's organization. Osher Ad was selling dates produced by Palestine. The box clearly marked them as Palestinian dates, and also had marking that said "Palestinian Dawn", which people said means "Free Palestine". This turned into a big deal on the Internet. All over people expressed their revulsion at the idea of buying such a product and supporting Palestinian terror. I heard on the radio this afternoon that Osher Ad has said they are removing these dates from their shelves. The brouhaha got the job done. I wonder though how different this is than the BDS. We do not want people boycotting us, and we call it immoral. We do not like the EU's decision to label Israeli products with special markings so people can easily decide not to buy certain products (specifically from the West Bank). So, we do not want them boycotting us, but it is ok for us to boycott them? That is my question besides for the question of why it was ok to eat yevul nochri (read: mostly Palestinian produce) for the entire past year (forgetting about the Palestinian produce we eat without knowing it during non-shmitta years), but now these dates are taboo? Miller (not a Jew by the way) just had another performance in which he spoke specifically about the Palestinians and the Israelis, but I can't find it yet on Youtube. I grew up with Dennis Miller hosting the news on Saturday Night Live, and I was always a big fan of his..
With Dennis Miller you always need the foul-language alert.. The Haredi citycouncilmen in the City Hall of Jerusalem have successfully torpedoed the allocation of a school building to a Haredi Yeshiva High School (Chochmei Lev). The allocation was not at the expense of another Haredi school. The specific plot was under agreement between the mayor and the Haredi representatives for a division with half being allocated for a Haredi school, and the other half for a secular school. The allocation to Chochmei Lev was going to be in the secular half, yet the Haredi reps torpedoed it anyway. Their problem is that they do not want such schools, yeshiva high schools, in Haredi neighborhoods. 4. I have no more sympathy for when the Haredi reps fight about being kept out of secular neighborhoods, like Kiryat Hayovel and others, and their attempts to build institutions discriminated against. If they feel fine doing it to others, it is legitimate to do it to them as well. 5. Please remember this come election time. When the Haredi representatives come knocking and looking for your vote, remember that they are not interested in you (if this si the type of school you would want your son to go to). They are just interested in your vote. When they say that the "working haredim" are part and parcel of the Haredi community and they need institutions designed and developed for their needs, know it is just lip service. When it comes down to actually doing anything, they will oppose your institutions. 6. To a certain extent the "working haredim", "blue shirt haredim", modern haredim", or whatever they want to be called, suffer from a form of battered wife syndrome. No matter how much "abuse" they take from the hands of the mainstream Haredi leaders and askanim, they are too scared to break out of their grip. They circle the wagons and the roosters come back home to nest every time the scare tactics are used. 1. Hello? Hello? Anybody in there? 4. they won't let me into Har Habayit through the main gates, maybe I can sneak in through here..
6. where's that busted pipe they called me in to fix? a lot of people put in a lot of work to get the patriots to do this and to get ESPN to broadcast it.. kudos to them all, and especially to Robert Kraft of the New England Patriots and to ESPN who agreed and did it. at Monday Night Football - one of the biggest stages. 1. I am not so sure it was a mistaken identity, nor that it was a terror attack gone bad. I wonder if the police have considered that maybe this 70 year old Palestinian was the actual target. Maybe this was some good old Arab on Arab violence, family feud hamula style. 2. Do they have no respect? no derech eretz? two young whippersnappers attacking an elderly man like that! 3. Anybody who thinks they can tell who is an Arab, who is a Jew, and the like is clearly mistaken. These Arabs could not identify their own landsman correctly and mistook an Arab for a Jew. Sometimes you can, sometimes you cannot. Act accordingly. 4. Maybe we should start labeling Jews, the way the EU is labeling products. that way we will be more easily identifiable. 5. Some guy in a cape went chasing after the young terrorists. From what I understand, this fellow has not been identified (as of this time). Jerusalem has yet another superhero roaming its streets. Nir Barkat has doubled as Batman more than once, and now we have Superman as well. Maybe he too was Nir Barkat! 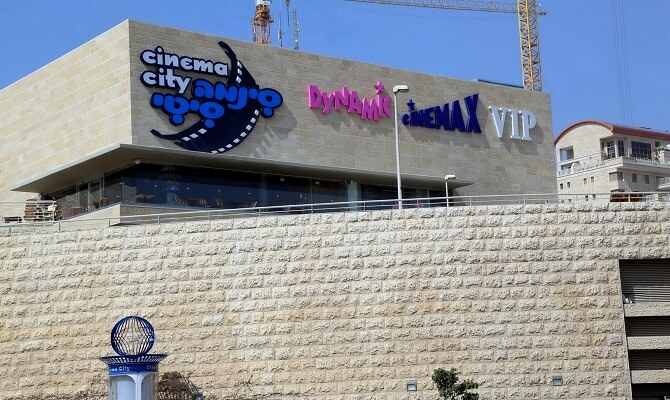 Cinema City in Jerusalem will not be opening its doors and large HD screens on Shabbos. The owners of Cinema City have come to this conclusion all on their own, and said so in court. They've changed their minds. They have seen the light. They want to put an end to the suit against them and get back to business. From the Haredi side, untoward pressure to this decision was denied (besides, of course, the pressure everyone knows about such as the court case and the initial arguing). From the secular side, an interesting response said that just as they do not want the theater to be forced to close on Shabbos, they also do not want to force it open and are fine with it being a decision by the owners themselves to close. Once again we see that the status quo changing on Har Habayit is against the Jews, not for the Jews. INN reports that there is now a quota in effect as to how many Jews can go up to Temple Mount on any given day. The maximum is 45 Jews in the morning hours, and 15 Jews in the afternoon hours. And entry will be limited to those who register in advance. I do not know how one is meant to register in advance - via a website or at a specific telephone number. If I get that information, I'll post it. When police were asked about this change, the response was that it is for the benefit of the Jews and their security. I guess that means that it is easier to protect fewer people than more people, so the police will be able to provide better security to the few that will go up. Rarely has there been such an interaction of cultural, historical, and human factors as there was in this funny and emotional video which went viral across Europe this past week. Shot from the passenger seat of 61-year-old Austrian Hans Breuer’s car, the video shows Breuer merrily singing the Yiddish folk song “Oyfn Veg Shteyt a Boym” (“A Tree Stands Off a Road”) by Itsik Manger. Then the camera pans sideways to reveal a scene both humorous and touching: the car is full of Palestinian-Syrian refugees for whom Breuer is giving a lift, happily joining him on the song’s wordless chorus. “Ay Bitty Bitty Boym!“ the group intones while a jaunty Breuer happily waves his finger in the air like a conductor’s wand. While the video is touching enough in its own right, it’s the remarkable context that surrounds the clip which has made it a viral sensation and elevated it into the greater discussion about the ongoing refugee crisis in Europe. That’s because Breuer – a Vienna resident and shepherd by trade – is Jewish, the son of parents who fled Nazi Germany in the 1930’s and became homeless refugees themselves. In a separate interview, he says he decided to act when he saw a news report on the conditions at the government-run refugee camp in Traiskirchen, which is filled to over double its intended capacity. “I was sick of this crime, I asked my wife whether we should do something, and that’s how it began,” Breuer told JTA last week. So he decided to head down to the camp last August with food and water for the refugees encamped there. Having seen their living conditions first hand, he says he decided to start assisting them in their journey across Europe – one car load at a time. This isn’t the first time Breuer has found himself in something of an international spotlight. He was the subject of the 2005 book Schlepping Through the Alps: My Search for Austria’s Jewish Past with Its Last Wandering Shepherd” , which told of his life as a roving shepherd, folk singer, and somewhat unique curator of Austrian culture. Now he says he uses his life experience as a “wandering shepherd” to navigate the little known back roads of Austria and Hungary when ferrying refugees on one of his expeditions. That and sing them some Yiddish folks songs as well, a genre of music he says he came to only later in life. funny. Overall I think she did pretty well, though there were some moments where she looked a bit overwhelmed..
funny, both when they pick on the Haredim and on Yair Lapid... at moments it seems like more than just satire..
Israel In 3 words from Jessica Belger on Vimeo. One of the recent fights for the new budget and the draft law was the fight for the supplementary "guaranteed income" - havtachat hachnassa - for avreichim. Avreichim used to get this funding from the government, as a form of welfare. The Supreme Court put an end to it, saying it was discriminatory as it only applied to avreichim. Since then the Haredi parties, specifically UTJ, have been trying to find creative ways to rewrite the regulations of such a welfare payment in a way that would not be considered discriminatory. Today they succeeded in passing their latest attempt, and students will benefit from it as well, which should help it get past the test of the courts. What I find interesting is one point mentioned by Kikar. And that is, Health Minister Yaakov Litzman succeeded in lowering the requirement for learning from 45 hours weekly to 40 hours. So, the irony in this, or strange part of it if not ironic, Haredi MKs fought to lessen the required learning time of avreichim. Haredi MKs fought to allow avreichim to learn less. Can you imagine the screaming we'd have heard had Yair Lapid done this? Jonathan Pollard is out of jail. 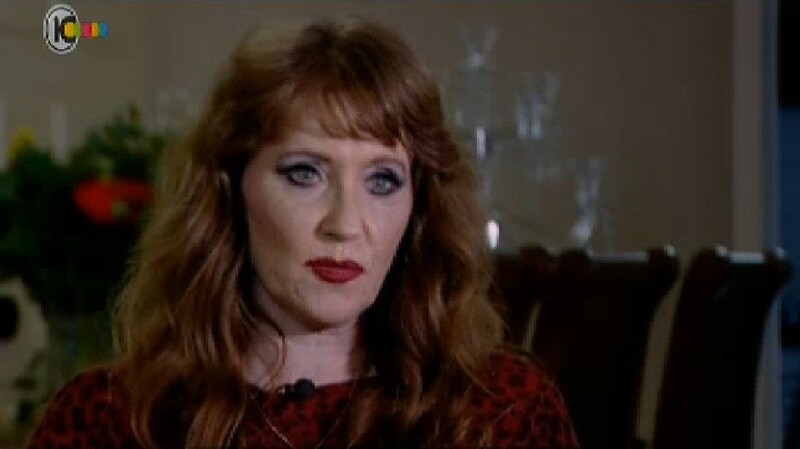 Anne Pollard, Jonathan first wife, is now claiming that she never wanted a divorce from Jonathan. She now claims that a lawyer came to her, a lawyer who presented himself as working with Shimon Peres, at the time the Prime Minister of Israel, and pushed her to sign divorce papers. Jonathan has since then become religious and remarried, to his current wife of 22 years, Esther. I wonder if she will make some sort of halachic trouble with this. Where has she been ever since the divorce with this claim? Did she just think it was irrelevant because he would never get out of jail, at least not alive, so she didn't bother raising the issue? Even if she is telling the truth, would this present a problem? She did not say she was beaten up or attacked or threatened, though perhaps she understood an implicit threat. All she said, at least in this article, is that she was presented with papers and signed them, and that it was not her initiative though she didn't want it. Is that called a forced gett? She agreed to it and accepted it. I don't think this is the start of a halachic dispute as to the status of the divorce, but it might be. Kooker is reporting that the Likud wants to include in the new draft law that will be coming to vote tomorrow a clause that will deal with putting down the incitement against Haredi soldiers. this was initially formulated and pushed by the head of the Haredi division of the Likud, Yaakov Vider. One might think that this is something the Haredi MKs would embrace. They did not even have to do the work for it, yet Haredim, their own constituents, are going to benefit and be protected by this clause. Yet the Haredi MKs are reportedly opposing the inclusion of this clause. They do not want this clause, fighting the incitement against Haredi soliers, included in the law. They do not explain why and refused to respond, for the meantime. I don't understand who or what they are trying to protect. The Eida hachareidis is now giving a hechsher on bubble gum. Bazooka bubble gum. This is "big" news. Bazooka was like a landmark that the Eida wouldn't touch. The Eida is, and always was, against giving a hechsher to foods they didn't like, for reasons other than kashrut reasons. They did not like gum because they don't want people chewing gum in public, and it is not considered a necessary food item or snack. Bazooka has an additional problem of it having been a symbolic brand of Israel and of gum. Things change all the time. What was considered a luxury item one day is considered more standard at a later date. If you look at Pesach items, for example, the Eida adds products to its hashgacha every year, even after refusing to certify them for many years, as they become considered more and more basic and less as luxuries. This reminds me of the various ultra-left kibbutzim, such as those affiliated with Hashomer Hatzair, that since their inception were extremely anti-religious, yet in recent years many of them have been building shuls or starting to use the shuls that have been collecting dust for years. איך נפלו גיבורים - How the mighty have fallen! There is a lot of excitement about a deal that was signed this morning between a region of Italy and the regional council of the Shomron for economic relations and trade. The agreement has come shortly after the EU decided to label products from the Shomron (and Golan and the West Bank), and is being seen as a boycott-breaker. The thing is, the EU did not decide to boycott the Shomron, just to label the products and give people the ability to decided for themselves what to buy and what not to buy. While the labeling is bad, and is perhaps encouraging of a boycott, the EU never actually declared a boycott. Kol hakavod to Italy and to the Shomron council, but this is not a boycott-breaker. will the women light the Chanukah candles this year? Rosh Chodesh at the Kotel has been relatively quiet recently. I won't say it has been without incident, but it has been much quieter. After it leading the headlines time and again every month for a long period of time, we suddenly hear hardly anything about it. I guess to make up for the quiet a new front seems to be opening. Chanukah. 3 female MKs, Michal Rozin, Tamar Zandberg, and Kasanya Svetlova, have sent a letter to Rav Shmuel Rabinovitch, rav of the Kotel, requesting that he include women in the menora-lighting ceremonies. In their letter, they reference the fact that at the yearly lighting ceremonies he honors MKs, important people and many other people, all being men, with lighting the menora by the Kotel. There is no menora-lighting in the women's section. They ask for inclusion and to have women lighting the menora as well, considering that both men and women are obligated in lighting chanukah candles. To me this looks like a winning argument, considering the argument he always makes against womens minyonim, tefillin and torah reading is that they aren't obligated so their motives are questionable and it is an attempted provocation. In this case, women are obligated the same way men are, so that argument cannot be used against them. Rav Rabinovitch responded by saying that this request, made by external organizations that are extremists, is an attempt to damage the efforts being made to come to a solution that will be acceptable to all the various streams. He calls the request to have a Chanukah lighting ceremony in the women's section nothing but a provocation to derail those talks rather than to help find a solution for everyone. I think Rabbi Rabinovitch should have told them that married women are not supposed to light (according to some opinions, largely accepted in some frum circles), as they are part of the lighting of their husbands. I wonder how well that would have gone over. what a great kiddush hashem... nothing more needs to be said..
posted online by Benny Polatseck Shlomo Yehuda Rechnitz Meets a Group of US Marines in the Airport, Thanks them and Sponsors Dinner for All World renowned Hasidic philanthropist Shlomo Yehuda Rechnitz of Los Angeles paid $50 per meal for approximately 400 U.S. Soldiers in an airport in Shannon, Ireland. He saw them eating standard army food while all the other passengers in the terminal were eating in trendy and appetizing restaurants. Rechnitz then asked their commander if he can give them something extra. This is Rechnitz offering words of appreciation to the soldiers after the commander agreed. Shlomo Yehuda Rechnitz Meets a Group of US Marines in the Airport, Thanks them and Sponsors Dinner for AllWorld renowned Hasidic philanthropist Shlomo Yehuda Rechnitz of Los Angeles paid $50 per meal for approximately 400 U.S. Soldiers in an airport in Shannon, Ireland.He saw them eating standard army food while all the other passengers in the terminal were eating in trendy and appetizing restaurants. Rechnitz then asked their commander if he can give them something extra. This is Rechnitz offering words of appreciation to the soldiers after the commander agreed. I don't know how he grew his hair back so quickly... Meir Kalmanson always makes great clips.. In this social experiment I play doctor to see if laughter is truly the best medicine. A great holiday deserves a great holiday song - finally a funky number for Hanukkah. Enjoy! If you think we are sitting in a Right-wing government, you are mistaken. When the prime minister supports a Palestinian state, it is not a right-wing government. You demand construction as if Habayit Hayehudi had 30 mandates and the Likud had just 8 mandates.... we have broken the building freeze in Jerusalem and in Judea and Samaria. I caused the prime minister to retract from his statement regarding a unilateral pullback.... but, for God's sake, lower your expectations! It is good that Bennet is being realistic and demanding realistic expectations from his constituents. He should also, perhaps, give them guidelines as to what is realistic and what their expectations should be. One thing to consider though is that you do not hear Aryeh Deri or Yaakov Litzman, or Moshe Gafni lowering their demands and telling their constituents to have lower expectations, considering that they are just 6 and 7 mandates respectively. The leaders of the Haredi parties make their demands, they fight to get what they promised their constituents, and they are willing to fight to the end for those issues. They might be bluffing when they keep threatening to vote against the government if this or that demand is not met, but so far nobody has been daring enough to call their bluff. David Ben Gurion's grandson, Yariv Ben Eliezer, attacks pretty much everyone in this interview with Lucy Aharish about reports that no government representative would be present at the memorial service for his grandfather.. In this brief interview, Ben Eliezer attacks and swears at Netanyahu, the government, the entire State, the religious, the people on the panel, and everyone else.. it got so bad that Aharish had to take him off air..
but it was not really new.. it was a cover of an Avri Leader song..
does that sound right to you? I had a hard time comparing it... at first I thought it was a different song, but it did not seem to fit well. with this one I cant really tell.. The young couple due to get married, Sara Techiya Litman and Ariel Biegel had to delay their wedding due to the murder of her father and brother. On the brink of getting married, she was thrown into trauma and mourning. The wedding was rescheduled for next Thursday, November 26 2015, in Binyanei Hauma in Jerusalem (I heard - after 8:30pm). The young couple has put out an invitation for anyone and everyone to join them in their celebration. This is truly a situation of going from anguish to celebration, מיגון לשמחה ומאבל ליום טוב, even though we are not in the month of Adar. MK Nissan Slomianski (Habayit Hayehudi), wants to change the length of the Knesset term from 4 years to 5 years, similar to the length of municipal governments. Slomianski thinks this will add to the stability of the government. Obviously this sounds funny because governments in Israel do not, with rare exception, even make it close to the four years they were elected to, so why bother pushing it up to 5? 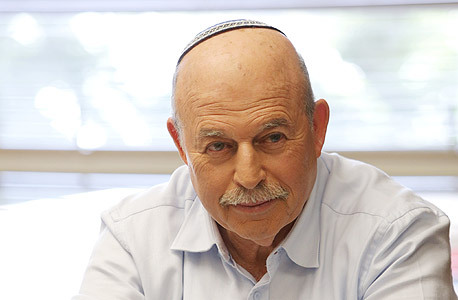 Slomianski's plan would set the MKs that are elected to the Knesset to the full 5 years. While coalitions might be changed mid-term, the same 120 MKs that are elected would remain in office for the full 5 years. I like the idea, but I'm not quite sure how it would work within our style of coalition government. If, for example, Netanyahu today decided to dismantle the coalition, or Bennet or Deri pulled out of the coalition, it would force new elections. Netanyahu could avoid elections by forming an alternate coalition - bringing in Labor or Yisrael Beyteynu, for example. However, let's say this happened, but Netanyahu couldn't come to terms with any other parties and couldn't persuade another party to join his coalition - what then? According to Slomianski's plan there would not be elections, the MKs would continue, and Netanyahu would govern with no coalition? Theoretically that is possible in municipal government, even if it only rarely happens, as the vote for mayor and the vote for city councilperson are separated. Can a national government function with no coalition? What laws or policies would he be able to pass and implement? what a voice on this kid! From Hillel Fuld, a passenger on the flight and the person who snapped and posted this picture.. Eight hours later, we are still stuck in Billings, Montana and the plane that is supposed to pick us up is on its way from NY but still hours away. Everyone here is pretty restless since we aren't allowed to leave the terminal, which is the size of maybe four average size living rooms. We are hundreds of people. The Chabad Montana representative drove two hours to bring us food. Endless cold cuts, hummus, eggplant, bagels, and much more. Two hours here and they have a two hour ride back. Unbelievable. This woman along with her beautiful kids put a smile on all our faces and upon her arrival, got quite the round of applause. Based on the constant smile on her face, she is happier to be here than we are to have her here. Some people are just so remarkable. They were stuck in a Montana airport with no end in sight to their wait and no kosher food to eat. That’s what happened today to some 300 passengers on an El Al airlines flight Tel Aviv to Los Angeles. The Boeing 777 made an emergency landing in Billings, Mont., when a reported fire in one of the engines made it unsafe to continue. Passengers disembarked the plane and were bused to a terminal, where they waited for another plane to take them to their final destination—Los Angeles International Airport. There they sat as the hours ticked away and the food supplies—in particular, the kosher food—dwindled. Hillel Fuld of Beit Shemesh, Israel, says that somehow, Rabbi Chaim and Chavie Bruk—co-directors of Chabad-Lubavitch of Montana in Bozeman—got news of the situation and set about immediately to offer assistance. With her three young children in tow, Chavie Bruk drove a car full of kosher food 150 miles to Billings Logan International Airport, where passengers had been waiting for nearly 10 hours. “She showed up and instantly put a smile on hundreds of faces. She did it with utter grace and never stopped smiling for a second,” says Fuld, 37, who works in technology. “Based on the constant smile on her face, she is happier to be here than we are to have her here. Fuld, who is traveling with his wife and 11-year-old son to Los Angeles, enjoyed kosher bagels, cold cuts, chips and cake. Heaps of hummus, fresh fruit and other goods were also available. Rabbi Chaim Bruk recounts that the rabbi at El Al in Israel called him this morning and apprised him of the plane trouble. Bruk himself was on a flight to Minneapolis, but his wife snapped into action. She gathered as much ready-to-eat food as she could—they had just received a kosher shipment the night before—piled her children into the car and drove two hours to the airport. “She was welcomed like a heroine,” says the rabbi. Meanwhile, the group of tired (but not hungry) passengers remain in the airport two hours later—a half-day now—waiting for the next leg of their journey. Do Shtissel actors need a gett? In one of the episodes of this season of Shtissel, Ruchami gets married in an ad hoc wedding. This wedding bothered me when I saw it. Even if you say the portrayal of the Haredi community in Shtissel is relatively representative of what happens, which might or might not be true, that wedding scene was ridiculous and completely unrealistic. As you can see in the clip below, it seems that some people had other problems with it. Some people were worried that playing such a scene on the screen would create a halachic problem for these two actors in their real, personal, lives - as perhaps halachically they would be considered married. According to the fellow talking in the clip, the concern has been alleviated by saying that their was no intention for marriage and it was all clearly acting. I do not know if a rabbi was asked. I do remember the famous responsa from Rav Moshe Feinstein about two children who acted in a camp or school play and were a part of a mock wedding. If I remember correctly they were required to divorce because of it, even though acting was involved. Obviously other rabbis could argue, but I would like to at least see some discussion about it, if it were really a discussion. I have not seen any such discussion or concerns raised. Maybe I haven't looked in the right places, but I haven't seen or heard any such discussion. The nation is with the Golan! Has Gafni's bluff been called?